Unfortunately, the “matzah blood libel” is alive and well, says Prof. Moshe Sharon of Hebrew University. It may seem hallucinatory in this day and age, but unfortunately, the “matzah blood libel” is alive and well. 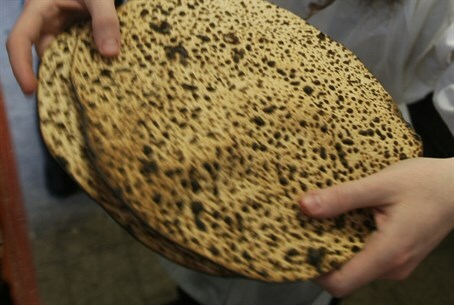 In a discussion with Arutz Sheva, Professor Moshe Sharon of Hebrew University said that there were still many instances of the false accusations against Jews for allegedly using the blood of non-Jews to make matzah, but that these accusations today are made in the Muslim world, not the Christian world, where the libel originated in 1144 with the fabricated story of William of Norwich, England. The accusation that Jews use the blood of Christian or Muslim blood is quite common in Islamic literature. Materials printed by Hizbullah, Hamas and other terror groups, along with books sold throughout the Arab world, discuss alleged cases of Jewish use of blood for matzah baking, said Sharon. “Historical” investigations of cases of blood usage by Jews are common fodder for academic dissertations; for example, the Syrian war minister Mustafa Talas did his dissertation on the Damascus blood libel of 1840. Israeli Arabs are also affected by these beliefs, said Sharon. He discussed the case of one of his students at Hebrew University who once asked him where Jews find the Christian blood they need to bake matzah. “This shows that the tradition of the blood libel is still deeply rooted,” he said. One bestseller in Kuwait includes a step by step guide to the process of producing blood for matzah baking, including the lurid, fabricated description of a special barrel with sharp prongs into which the Christian child is strapped, and the barrel rolled along the ground so that the prongs stab him and release his blood, which is collected in a special vessel in the barrel. When asked how the Arab public could be so gullible as to believe such mythical stories, Sharon said that the fact that such stories are printed in books made them authoritative in the eyes of many simple, as well as educated, Arabs. “Hatred for Jews is so strong that anything that makes them look bad is usually quickly embraced in the Muslim world,” he added. One of the reasons Arabs can get away with this is because Israel allows them to, said Sharon. “If we were a country that was sensitive to issues of honor, as the Muslim states are, we would demand an apology for such propaganda” as a precondition for any negotiations. “When the Palestinians talk about the IDF killing Arab children, it is the theme of the blood libel they have in mind, and it is that image they want to convey to Europe,” he added. “The fact that there have not been any pogroms in the Muslim world over blood libel accusations is because of Israel's military strength. If Israel was not perceived of as a formidable force in the Middle East, such pogroms would spread like wildfire,” he said. The irony of the mendacious blood libel accusation is that the Torah expressly forbids Jews to consume blood in any form, whereas pagan religions did so as part of their rituals.